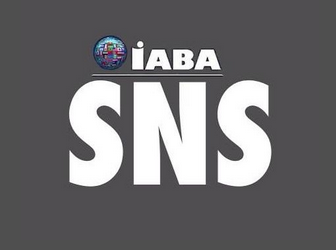 Maria Faini and Orly Lael Netzer review the SNS “Unsettle” Roundtable discussion at the 2015 IABA Americas Conference. Emily Johnston began the Americas roundtable by situating POP!, the performative and experimental phenomenon of male pregnancy, as an autobiographical performance that troubles the idea of bodies as truth-telling and natural. She explained that POP! reveals pregnancy to be a fiction. Engaging queer theory, Emily looked at the ways the performance of achieving desired bodily changes challenges more normative ecocritical and environmental justice discourses on biopollutant exposure. Following Emily, Eva Karpinski spoke about the part-time, contractual struggle in the academic workforce and its implications for a right to education as a practice of active citizenship. She focused on the graduate instructor strikes during the winter term of 2015 at the University of Toronto and York University, reflecting on the radical pedagogical potential encompassed in campus labor activism. She outlined ways that the students of UT and YU turned a political strike into both experiential education–for example, through ethnographies of strike participants–and performance art as reenactment. She considered both pedagogical and performative strategies necessary for practices of citizenship. Next, Sarah Brophy reflected on exhibition curation processes, particularly in university spaces, as pedagogic practices. In her presentation Sarah shared her experience of co-curating This is Me This is Also Me, with Janice Hladki, at the McMaster Museum of Art, as a critical, political and pedagogical practice of unsettling. She asked what it means when we divorce a term such as “curation” from its original meaning (to care for something), and alienate content providers, such as curators, from their labours by using passive terms ( like “curated by”). She understood body artifacts as unraveling ideas about bodies and citizenship, and as partaking in subject-object interruptions as well as self-scrutinizing, decolonizing practices. For Sarah, these pedagogical, institutional spaces promote ruptures rather than contemplation. Following Sarah, Bethany Mannon suggested the term “fictive memoir” as a way of understanding the fluidity between fact and fiction in prose as memory work. Differentiating the fictive memoir category from autofiction (novels that include real life references to the author’s biography), she focused on a category of fictive novels presented as life writing or memoirs, thus unsettling the discourses that revolve around literary analysis of both fiction and memoirs. Bethany challenged the nature of truth claims, historical narratives, and witness accounts. Finally, Liz Rodrigues asked: “what does it mean to capture, or count, a life?” She presented a critical approach to data collection (lifelogging) in relation to life representation and its political effects. She suggested that data collecting can highlight difference, particularly socioeconomic and race disparities, and called for more critical approaches to data collecting as a form of life representation. Liz, Eva and Sarah’s presentations echoed one another in their reflection on activism and labour, or the labour of activism and the manifold ways in which it comes up in life narrative practices, critical art projects, and pedagogies. During the question and answer portion, an audience member suggested that the approaches presented regarding life writing as pedagogy open a way toward activism and research without appropriation. Sidonie Smith pointed to Elizabeth’s reading of Benjamin Franklin’s lifelogging, questioning whether his method could be seen in a more experimental, even humorous light. For example, could we read his life logging as also a way of cataloging his faults. Leigh Gilmore suggested that Emily, Bethany, and Liz’s presentations considered what can be learned, and what it would mean to learn, from “fakes” or falsehood rather than authenticity and in that sense what can be included in life writing pedagogical methodologies and ethical approaches. Bethany noted that when suggesting “fictive memoir,” she realised that she was discussing a distinct way in which the memoir boom is informing the novel. Maria questioned the link between art as practice and as commodity, noting the ways the curatorial spaces become commodifying spaces and the ways this process itself can challenge the critique produced through the artwork itself. In response, Sarah mentioned that the art museum is situated in a university setting, thus unsettling the institution from within. For Sarah, this curation makes clear the ways the university space is a project built on anxieties surrounding non-normativity. Regarding the graduate instructor strikes, Maria also questioned whether activism as performance, particularly the students’ pedagogical reenactments following the strikes, might also become a practice of remembrance. Another audience member asked about the risks of appropriation when working with students on research or art-response projects directly linked to political struggles. Eva replied that she does not find appropriation in this context, but rather sees the classroom and research projects as situated directly within the labour struggle; she sees the contexts as organically linked, one informing the other. Each of the presenters identified moments and spaces of pedagogical, political, institutional, and methodological rupture within life writing study and practice. But more-so, the presenters suggested novel research and pedagogical approaches and objects of study that can continue to unsettle the field.